Best: Daniel Radcliffe and David Thewlis. I saw no sparks whatsoever, they were hugely boring together. I forget that they are even in a relationship when I watch the movie. I never felt there was much of a connection with Bonnie and many of the cast members. She reminded me much of Kristen Stewart once I became familiar with her (Kristen) acting. The best, IMO, was Dan, Rupert and Emma. I thought the three of them worked really well together. Another coupling to mention, which I'm surprised slipped me - Dan and Evanna. If I tentatively shipped Harry and Luna after OOTP, it's solely because they felt so natural together - two outcasts who really understood each other. Oh, I forgot about Luna and Harry! Yes, Dan and Evanna worked well together. I remember when I went to see the movie, someone in the audience, who apparently hadn't read the book wondered why Harry Potter was "kissing the Chinese girl instead of the blonde girl". In defence of Dan's and Bonnie's casting we must remember they were children with no one having any idea what Harry's and Ginny's future was going to be (except JKR). A romance was far in the future with no hint of that in the four books published at the time the first movie went into production. This is why people need to read the books. Then they wouldn't allow the movies to mislead them. I really don't give a flying snitch who had the better chemistry. Staying true to the source material was more important. I loved all the scenes with Richard Harris and Dan in the first two movies. It's a shame we'll never know how the two would have interacted with each other in the later films. I have to join the Bonnie and Dan club, no chemistry at all when there should have been. That is definitely a good point and something that does need to be kept in mind. I almost want to say that I don't care, though. As an actor your job isn't just to say the words on the page, it's also to deliver them believable, to make the audience care, to interact with costars in a believable and convincing way. Though, yes, Dan and Bonnie were cast with no clue as to their future romance, I'm still disappointed that they couldn't come up with more than the awkward, flat performances they gave. The movies stayed true to the source material where Harry and Ginny were concerned and look what we got: Painful to watch interactions of Dand and Bonnie trying to flirt and kiss. Personally, knowing what we know now of how Dan and Bonnie interact in those kissy moments, I would have accepted a Harry/Luna pairing in the movies knowing Dan and Evanna had way better chemistry. It wouldn't have been canon, wouldn't have stayed true to source material but I wouldn't have to cringe away from the screen every time Harry and his love interest made eyes at each other. This is one of the reasons I think that movies based on a series should be done after the series is completed. Mislead them, how? That something in the films differs slightly from something in the novels doesn't matter to anybody except a tiny handful of fans. Nobody "needs" to read the books. So why are you posting on a thread with the title: Best and Worst Chemistry in the HP Series? Not much to add to what others have said; Dan and Bonnie were a lifeless couple. Harry's interaction with his various father figures - Dumbledore, Sirius, Lupin - was well done. This was a decision for the author. Can we please grant her the courtesy of allowing her to act in her own best interests? Last edited by mrfutterman; September 10th, 2012 at 10:44 pm. I am not going to defend Bonnie and Dan , but lets take into consideration the scenes they gave them were not precisely " good ". I mean tying Harry´s shoelace , or having him zip her dress up? I wish they had had better moments like they did in the book,if those did not work on screen ,think of other ones, but this ones they came up with were pretty lame. I do think part of the lack of chemistry is a consequence of the silly scenes they gave them. They might have worked more if there had been a spark between them, but even so, what they were supposed to perform was lacking the mood or something. They simply were no good. Let's give kudos to the Dursleys - loathesome as they were. Which is just the point, right? Absolutely! The interaction between them and Harry is just right too. Ditto Dudley. And let's not forget Aunt Marge, little as we see her. Hers and Harry's mutual contempt and loathing for each other came across rather well. mrfutterman;6038758]Mislead them, how? That something in the films differs slightly from something in the novels doesn't matter to anybody except a tiny handful of fans. Nobody "needs" to read the books. Well I think they do if they want to know the actual story of Harry Potter. The movies, IMO are glorified fan fiction. In fact I've read fan fiction that was better than the movie scripts. As for posting in this thread, well I am posting in this thread because IMO if the films had stuck even a little bit to the actual storyline that was in the books instead of inventing 60-75% of what we saw in screen, then we might just have got better chemistry and better movies. Bad chemistry quite often is a result of a bad script and 'The Half Blood Prince' and DH2 is IMO, the proof of that pudding. 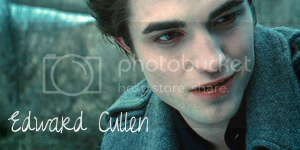 Last edited by MsJPotter; September 11th, 2012 at 1:35 pm. Well I think they do if they want to know the actual story of Harry Potter. The movies, IMO are glorified fan fiction. In fact I've read fan fiction that was better than the movie scripts. I agree on all three statements. I never thought of it that way but yes, with all the changes, the movies are fan fics, and not very good fan fics at that. I particularly hated that scene where Snape holds Lily's dead body while baby Harry is bawling his heart out, and Snape doesn't even spare him a glance. I don't know why they put that scene in. Whoever wrote it must not have read the books. It's not at all canon. Snape was not in Godric's Hollow that night. The only people on the scene, just after the Potters' murder, were Sirius and Hagrid - that's when Sirius lent his motorcycle to Hagrid to carry Harry to the Dursleys'. How would Snape have known to be there anyway? I don't see either Pettigrew or Voldemort telling him. Bad chemistry quite often is a result of a bad script and 'The Half Blood Prince' and DH2 is IMO, the proof of that pudding. Me too. I can’t stand these inventions that their put in the movies that have nothing to do with the books. The additional Snape/Lily material was very good indeed: better than anything the author wrote. I quite liked the dynamic between Voldemort and Bellatrix, while wishing for more but the film-makers were too timid to adapt thoroughly, so too often we get soggy veg instead of dramatic meat. Even if it wasn't canon? OK maybe to some it's good fan fic. I'd rather stick to canon, and, I repeat, Snape was not on the scene at Godric's Hollow. He could not have been. Well, back to thread topic - I didn't see any chemistry between Snape and Lily's dead body, nor did I see any between Snape and the infant he totally ignored. Isn't tending to the needs of the living, especially a baby, more important than holding the dead? A dead woman who liked you once but never did love you?